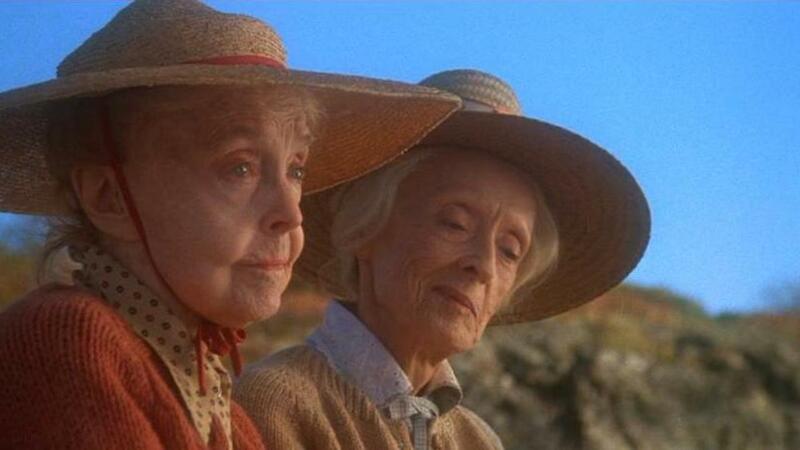 Screen legends Bette Davis (All About Eve), Lillian Gish (Broken Blossoms) and Vincent Price (Scream and Scream Again) unite their iconic talents in the 1987 drama The Whales of August, a beautifully photographed, intensely emotional drama. Libby (Davis) and Sarah (Gish) are widowed siblings who have vacationed for half a century at a seaside cottage in Maine. Now in their eighties, the sisters have unexpectedly arrived at an impasse: While Sarah embraces change and the possibility of romance with a courtly Russian suitor (Price), the stubbornly bitter Libby rages at the inevitability of death. As the summer months wane, can Libby and Sarah rediscover the powerful bonds of memory, family and love? The Whales of August features a screenplay by playwright David Berry (G.R. Point) based on his play and top-notch direction by the great Lindsay Anderson (O Lucky Man!, If….). -Peer Talk: The Raw September 1986 Interviews with stars Bette Davis, Lillian Gish, Vincent Price, Ann Sothern and Harry Carey Jr.